GoPro vs. DJI: Who's Goliath? 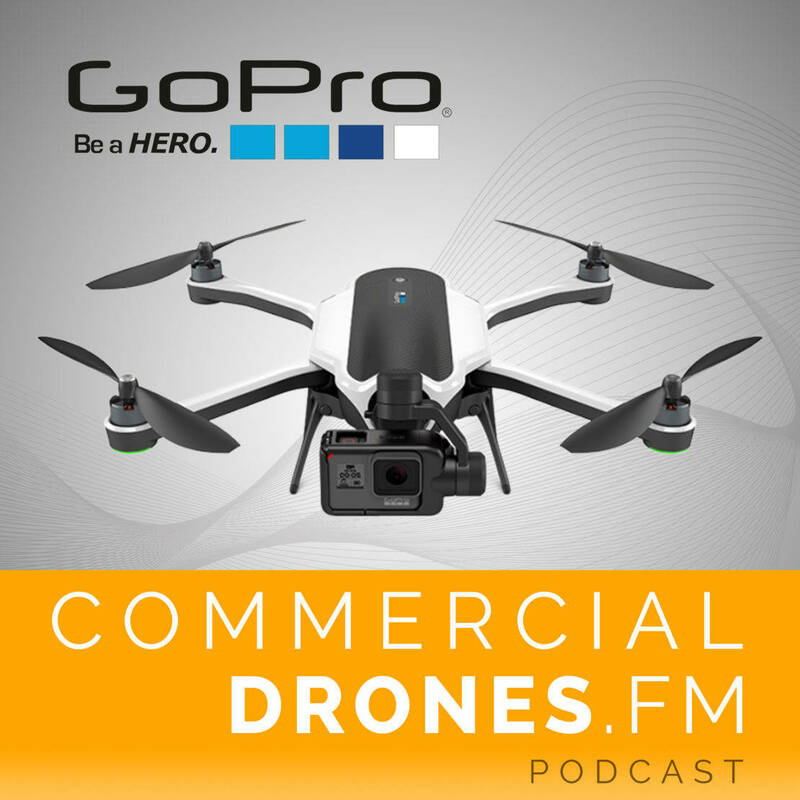 #015 – GoPro vs. DJI: Who’s Goliath? Publicly traded GoPro have officially revealed the hotly anticipated Karma drone. Incidentally, this first effort into the industry directly competes with the largely dominant DJI, a private company, who happen to have a similar drone of their own which will be announced the following week. Ian analyzes GoPro’s new drone and how this battle will shape up. Which of these companies will reign supreme in the battle for drone supremacy—who is David and who is Goliath? 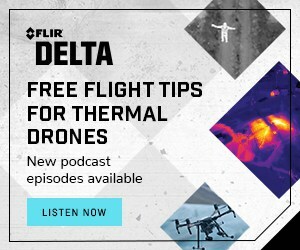 [00:00:03] [Introduction]: Welcome to Commercial Drones.FM, the podcast that explores the commercial drone industry the people power it and the concepts that drive it. I’m your host Ian Smith. [00:00:35] [Nick Woodman’s]: I want to thank all of you our customers and the stove that you bring to GoPro with every photo and video you share. [00:00:44] IAN SMITH: There were some interesting revelations from this announcement. I’ve been struggling on what angle really to take with this episode. I knew that I wanted to do a podcast episode on the release of the GoPro Karma drone at the end I wound up recording at least three different versions and now we’re on this version and I don’t really think it’s fair to compare the Karma as a commercial grade platform at this point. I mean even though the price point is in line with what DJI sells for phantom 4 and 3s which are really being used in even the largest enterprise companies for very important high valued operations. [00:01:27] It’s just really hard to compare the Karma to that. I mean I know that it’s really not on the same level and it’s targeted to an entirely different group of people but it’s just really important to see that a publicly traded company pretty high powered marketing team is entering the drone space and they’re probably not going to take this very lightly. They’ve got a lot of shareholders to keep happy. Being a publicly traded company so having GoPro and through the arena is really interesting. So the kind of gist of this episode will be to kind of compare and contrast and do a little bit of analysis on what GoPro entering the market means. Do a little bit of feature comparison. [00:02:13] This is a commercial drone show so we recognize that the target market for GoPro for the GoPro Karma is really for the action sports crowd which I’m sure it’ll do great for and I’ve been hearing such mixed reviews every person I ask in the past day past 24 hours. Some people think it looks great and some people are just totally. So I was originally totally mad and now I’m very in between. On whether I really like it or not. So let’s go ahead and get this kicked off. We’ll just start with the stock price of GoPro which has been pretty depressing if you’ve been following it. So over the past year it’s been down about fifty seven point six percent which is pretty terrible to say the least. And so this drone this release it wasn’t just the Karma drone that they released it was also the GoPro hero five black edition. And then also the GoPro session 5 which is the tiny little cube camera. [00:03:12] And so in the past three months the stock has actually gone up 35 and a half percent which is excellent. If you got in at that point but the past month it’s been down eight and a half percent the past week. Coming back closer in time it was up ten point six percent in anticipation of this launch and then the day of it was up I think it got up around 7 percent at its peak but then swiftly today which is the day following the release. It’s dropped back down six point eight six percent. So stock price not looking incredibly strong still very volatile after this announcement. I think a lot of people shorted the GoPro stock in anticipation of this and then just promptly sold and put in their orders for selling it for the following morning which is today. So stock price not looking amazing. [00:04:05] We’ll have to see what happens as far as how the market reacts to this. I think some of the estimates are that they’ll sell about 100,000 of these in the first year. That would be pretty nice. That’s great for the market. We’ll go ahead and take a little closer look at the specs here of the Karma. 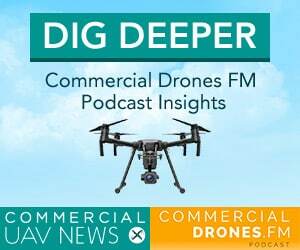 So as with everything on the show we want to kind of relate it to commercial drone operations in this particular instance of commercial accepting money or compensation for operating the drone. I want to go ahead and forget just for a little bit just about aerial, general aerial photo and video work that’s cool that’s that’s awesome and everything but I want to focus this more on inspection and using this drone for photograph imagery. [00:04:45] So the specs on the Karma First of all the max speed is 35 miles per hour with 22 miles per hour of wind resistance. That’s really not that fast. I think the Phantom 4 can actually reach speeds of up to 50 miles per hour in sport mode. Then again you don’t really need sport mode all the time. You don’t need to go that fast with the drone but if we’re really just doing an apples to apples comparison 35 miles per hour totally average 20 minutes of flight time. So decent endurance on it. This is where the big question starts coming in is the range. How far can the the Karma fly from the operator and how far can it actually transmit a high quality video to the controller to the transmitter. [00:05:31] So you have to understand something that we take for granted every day if we’re in this business and we most likely use DJI drones as light bridge light bridge is an incredibly powerful super stable piece of technology that it’s just invisible. It just works. It connects. There’s very little lag usually get really crystal clear video and the range is exceptional and it’s only getting further and further along with the new releases of light bridge. So it’s unclear what the GoPro Karma drone uses for its video link. I don’t really know from initial reports it could be maybe that it’s Wi-Fi amplified Wi-Fi I can’t find any specs on this verge reporter mentioned that this person flew the drone around 1,000 feet away from him and it was still cool. So I don’t know. The screen apparently transmitter is nice and bright which is a plus point that I heard from some people I was talking and talking to about this. But the range is just still unclear. [00:06:38] I think listed officially on the specs it’s about a kilometer or a mile away from the operator which I mean OK obviously if we’re following all the regulations and we want to stay within line of sight then that’s plenty fine and that may be what they were going for there. So GoPro touts this drone as its more than a drone. Listen to CEO Nick Woodman said himself now. [00:07:05] [Nick Woodman]: You’ve got one more thing for you it’s so compact you may have forgotten it was even here. Oh what can it be? Karma! [00:07:37] IAN SMITH: So the reason why he’s saying with such enthusiasm that Karma is more than a drone. By the way that is my favorite clip I think of all time. That’s just so funny, unique actually. Well it’s because that there’s the Karma grip included. So the Karma grip is actually the drone is modeled around this grip which is pretty cool I mean it’s a handheld Geo stabilized camera mounts that you can hold with your hand it’s very similar to the DJI Osmo which was released but this time instead of the Osmo being a separate product it’s actually integrated into the drop in the drone and it’s not that unique. [00:08:18] I didn’t even mean to do that but Yuneek.. The drone company has actually released a handheld stabilized camera as well with the typhoon drone that was integrated into the platform. So taking a little bit of a nod from unique there that makes a hell of a lot of sense for GoPro. People have been waiting for this for quite some time. Being a camera company first it’s a wonder why they haven’t released something like this in the past. So that’s like a big plus. [00:08:44] I mean the cost of the Karma, it’s a three axis gimbal is 799 bucks standalone. It’s a thousand ninety nine with the hero five or nine hundred ninety nine with the hero five session little cube camera. If you buy it with one of those two cameras then you save about 100 bucks with each bundle which is not bad. And this 799 bucks standalone version you can use with your GoPro hero for if you want. Now speaking of Hero 4 for the actual camera on the drone this Bing brings up some initial huge concerns I had with this were that having a GoPro on on the drone if you wanted to do commercial operations was usually like a huge No-No like that fisheye lens is not good for commercial operations. [00:09:33] Number one for inspection whenever you’re inspecting something up close very important asset. If you’re a high valued company with multimillion dollar installations then you don’t want any distortion on your image or you want to be able to see what it is you’re looking at the standard perspective that the human eye sees. So adding fisheye to that is usually not good. [00:09:55] Secondly for photogrammetry you definitely don’t want any fish or imagery because whenever the photogrammetric algorithms are processing all those images into final data datasets like or mosaics and elevation models 3D models the algorithm actually has to go through an extra step kind of flatten out that imagery warp it back to the standard perspective and then go ahead and stitched together. And so that really introduces some undesirable artifact thing that people are never happy with and it’s an issue that used to plague the DJI phantom 2 vision Plus . [00:10:32] I have since been somewhat corrected this is not confirmed yet but apparently one of the product managers or leaders in the GoPro crew of the aerial outfit over there has mentioned that there’s now an option in the hero 5 black that you can do and choose rectilinear lens so I guess it’s digitally corrected and it makes the final picture actually look rectilinear which is just like what are normal smartphones and cameras produce which is much more desirable for any type of commercial work. That’s pretty interesting. That definitely changed my tune when I was originally thinking about this drone and it’s just worth noting and definitely worth confirming because I couldn’t see anything on the web site about that new feature. The big thing about this drone of course is that it folds up. You know Nick Nick Woodman was very happy about that when he announced the drone carrying it in in a little backpack and folding up. So of course that begs the comparison to DJI is rumored and leaked announcement of the Maverick drone which will also fold up and this puts DJI in a super super cool position because they’re launching their drone next week on the 27th of September in New York at 8:30 a.m. Pacific Time. And they just got the full blown pricing info of the GoPro Karma along with the release date. So the release date of the Karma can actually purchase it on October 23rd. I’m not sure if you’ll be able to get it in stores then or not. But they got the full blown pricing. [00:12:09] So the DJI Mavick is supposed to come with a camera integrated in it which will no doubt not be fish by that. That is what we know for sure it’s going to have some collision avoidance stuff based on these leaked pictures and DJI has a really cool opportunity here to actually undercut the price of the Karma and also potentially if I was DJI and had the capability I would actually put it up for sale before GoPro and try to snag some of those some of those sales that are going to go over to GoPro. DJI is historically very aggressive. Frank Wang models his business mind after Steve Jobs apparently and he’s been quoted in the past on the battle with 3D Robotics. “It’s easier for them to fail”.Said Frank. “They have money but I have even more money and am bigger and have more people when the market was small, they were small and I was too and I beat them so I can beat them when we’re larger” And so Frank did wind up beating 3D Robotics. That’s just an example so 3D Robotics thoroughly trounced by DJI Frank Wang leadership team there. [00:13:23] Very calm cool calculated. If they have an opportunity they’re going to take it. They they released and started leaking. So presumably it was DJI started leaking imagery of there yet to be released Mavick drone an hour or 30 minutes before the release of the Karma or the announcement the other day. So that was a nice little movie to see. I mean this is getting very like Android versus Apple kind of stuff happening here. Whenever all those iPhones used to be leaking I’m really enjoying it from a dramatic perspective. [00:13:54] But the market’s really going to see this battle between GoPro and DJI so super super interesting here. DJI also does have a leg up on the SDK support. Nobody else can really compete with them on there. 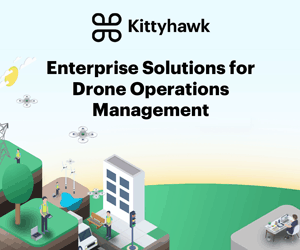 Literally businesses are built around their SDK to make an app that works with DJI drones. That is incredible and that’s a huge part of DJI’s business. What else the GoPro plus, GoPro released a sace product the software as a service product which is what SAS stands for and basically it’s like a monthly fee and it’s like similar to a drop box type of products. I’m wondering if DJI could do this in the future. Basically what GoPro plus is when you plug your GoPro in and you charge it at your home or office it’s going to automatically connect to your wife network upload all your photos and videos into cloud storage and presumably that is where you’ll be able to easily put them into GoPro’s new editing software which is an area that they’ve always struggled in getting the end users their customers to be able to produce good enough video and image image content as well as the GoPro marketing team which is seemingly nearly impossible. That’s something that GoPros always struggled with. So this platform could help them out. It’s going to be an additional revenue driver so I don’t know what the prices are on the GoPro plus account but we’ll find that out later. [00:15:22] Either way this could also be a way for GoPro to really kind of start using maybe some technology similar to Google photos or Facebook where they’ll take all your photos that you upload you some smart computer vision technology and automatically create a little montage for you that looks pretty nice. Add a little soundtrack on there and boom you got a nice little video. We’ll see how that pans out. That’s just an assumption from some of the people I talked to on what GoPro Plus could eventually be going for now price point. Very interesting it will be even more interesting when DJI announces the Mavick next week to see how that stacks up. And really you know head to head feature set that the both of these drones have. [00:16:06] One interesting thing about the GoPro Karma drone is that it can position the camera the GoPro to look straight above the drone. So the only other multi rotor or anything that I’ve ever heard of that’s marketed the ability to do that was the Sense Fly Xom which I don’t even know what it’s called anymore because of that whole lawsuit or the copyright infringement on the name. So it’s no longer called the Sense Fly Xom, but it sense flies really expensive multi rotor 20,25,30 K plus thousand US dollars. They can you can position the camera to look straight up and then do presumably a bridge inspection and do some nice inspection work there. So GoPro Karma I don’t imagine seeing companies using it to inspect bridges and assets. I would love to be proved wrong because that would just be amazing if we really saw people doing that. But that’s a potential use case for that. I mean pointing the camera straight up is kind of interesting like looking straight above the drone if anything you’ll get some really cool kite surfing shots or something like that with it. [00:17:11] One of the last things that I’ll say is just the marketing between GoPro and DJI, if you haven’t noticed they’re doing very similar things right now. Drones handheld stabilized gimbals for cameras but their marketing teams always seem to be talking about telling stories. They’re always using this kind of phrasing to describe what they allow their users to do. So it’s literally a head to head battle of two titans and GoPro has taken it. If I’m DJI right now I’m flattered because you’ve got a full blown competing product line got tons of momentum. So the war is on hopefully says the the consumers and the businesses of these drones are going to be the ones that win in the end. But we’ll just go ahead and have to see how that played out. And the last insight I’m going to leave with is that goes. GoPro started with the camera and now moving into drones and DJI started with the drone and now moving it to cameras. [00:18:08] So if this trend continues I wonder if we see a DJI standalone rugged tiny box like rectangular prism camera in the near future. But somehow I doubt it. Anyways it’s going to be really interesting to track this new rivalry. I can’t wait to see where it ends up. 3D Robotics is out of the picture. Yuneek is still kind of working their way up. Parrot is of course a big time player but doesn’t have anything as far as multi-rotar tech that competes at this level. So it’s GoPro DJI and a little bit of Yuneek sprinkled in these days. So stay tuned for more episodes next week. [00:18:49] We’re going to have a full blown rundown of the Mavic announcement we’ll have even more specs at that point. So we’re going to go through that. 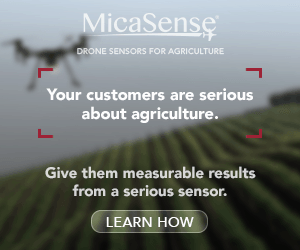 See how far you can take that drone commercially. And that’s what we’re going to do. So tune in next week. We’ll have that story. And we’ll have a lot more. One thing I’m asking from you is if you can give me some more feedback. We’ve got a Twitter which is @dronespodcast, a Facebook which is Facebook.com/dronespodcast. Tell me how I’m doing. I got an e-mail address. It’s ian@commercial.fm. How’s it going how are you enjoying the show. The the the listenership is extremely high. I’m not talking just to myself which was my biggest fear and it’s going great so I hope everyone is enjoying it if you have suggestions or requests please let me know who’s been your favorite guest. Do you want them back. We’ve got swag you can buy you can check it out on the Web site there’s a link there so you can support the podcast. I think I get about 2 bucks roughly per purchase of a shirt or a mug. So if you want to be cool in the office get a commercial drones.fm a mug to sip your coffee out of. [00:19:58] That’s it. Ladies and gentlemen I really really do appreciate your stoke.